4 Common Tooth Whitening Questions, Answered - Thomas E. Cooke, D.D.S. From Hollywood celebrities to everyday individuals, sparkling teeth have been a desirable trait for decades. Since the 1980s, dental professionals have provided patients with tooth whitening procedures, helping them to achieve dazzling smiles. Tooth whitening erases the external stains and discoloration that can make the teeth look dull. 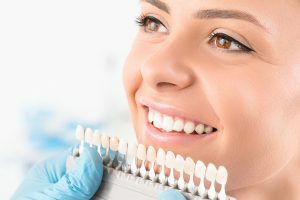 In this guide, we’ll talk about how tooth whitening works and considerations patients should understand before embarking on this procedure. Sometimes referred to as tooth bleaching, tooth whitening is the process by which stains and discoloration are removed from the teeth. Done properly, dental professionals can give the teeth a dazzling, white appearance. Tooth whitening systems may use chemical solutions or special lights to improve the appearance of the tooth’s outer enamel layer. Over time and with certain foods and beverages, the enamel of the teeth can become discolored. Staining culprits include red wine, coffee, cigarettes, and tea. 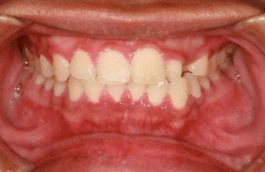 The stains that form on the outer surfaces of the teeth are referred to as extrinsic stains; certain medications may stain the inner portion of the teeth, and these are referred to as intrinsic stains. 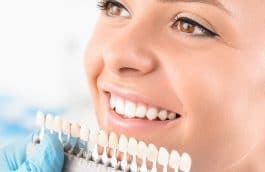 Tooth whitening generally works only on the extrinsic staining of the enamel, but intrinsic staining may also be lightened after the procedure is completed. 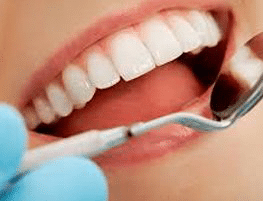 How is Tooth Whitening Performed? There are two major types of professional tooth whitening systems: chemical and light-accelerated bleaching. For chemical tooth bleaching, the dentist prepares specially-fitted trays molded to the unique shape of each patient’s mouth. A gel-like solution made up of hydrogen peroxide or carbamide peroxide is added to the custom-formed trays and placed over the teeth. The trays are worn for 30-60 minutes each day until the desired results are achieved. 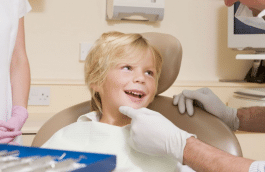 This is a take-home method; in other words, after the trays are fitted in the office, the patient does not have to be at the dentist’s office to perform the daily tray wearing. 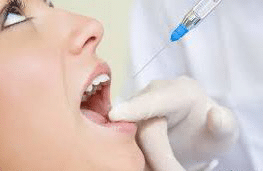 Over-the-counter tooth whitening products use a less-concentrated form of the chemical solution, but this isn’t as effective as a professional tooth whitening treatment under the care of a dental professional. Light-accelerated bleaching also uses a hydrogen peroxide solution, but a special light is used to speed up the process. The specialized lights emit a powerful bluish light and may be halogen- or LED-based. The soft tissues of the mouth are protected with a barrier to prevent irritation. In both methods, the dentist may opt to polish the teeth with a gentle abrasive once the desired whiteness is achieved. This gives the teeth a smooth, uniform appearance. Is Whitening My Teeth Safe? 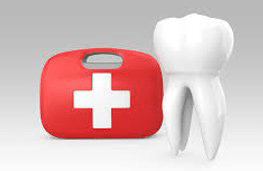 In general, tooth bleaching/tooth whitening procedures are very safe. 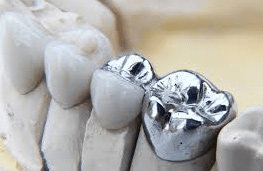 The chemical solution used by dentists breaks down into oxygen and water; the key is to use just enough of the gel in the trays to prevent leaking or escaping from the trays. Some patients may experience brief tooth sensitivity, lasting only a day or two after treatment. If the gel leaks out and contacts the gums or other soft tissues of the mouth, a mild irritation may be experienced. This usually resolves within a day or two after treatment as well. How Long Does the Whitening Last? After the initial treatment under the care of a dental professional, tooth whitening is expected to last three to six months or even longer. Age and time will slowly darken the teeth, however. 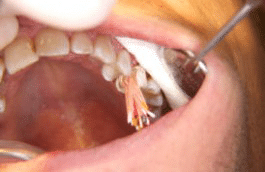 In some cases, a touch-up treatment is performed to keep the teeth their brightest. Patients who have had tooth bleaching treatments should avoid consumption of tooth-staining foods and drinks for the best results. If you are interested in tooth whitening, speak to your family dentist today for details about treatment options and pricing.